Your FoxyProxy Account comes with both proxy server and VPN server access. You can use both, although you shouldn’t use them both at the same time on the same device. Which should you use and when? If your needs are privacy, using FoxyProxy VPN is little better than FoxyProxy proxy since VPN means all traffic on your device/computer is encrypted. If you’re just trying to watch some geo-restricted content (like Hulu outside of America, or BBC outside of UK for example), then proxy is a better choice because it provides faster speeds than VPN, it’s faster to turn on/off than VPN, and it allows you to continue using your native internet connection with other browsers or apps on that device. 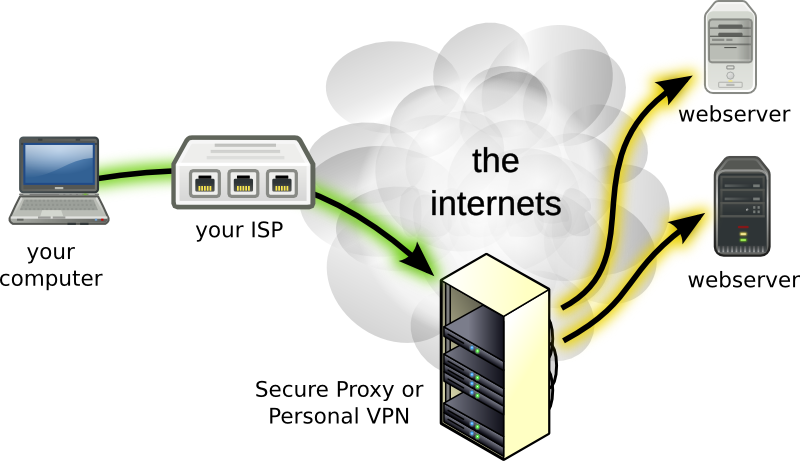 A proxy server acts as an intermediary between the your computer and the rest of the internet. When you connect to a proxy server, traffic is made to appear to come from the proxy server. This masks your real location and real IP address. It can provide some anonymity (true anonymity is extremely difficult), and removes geolocation and censorship restrictions imposed on you. Our proxy servers use the HTTPS, HTTP, SSL, and SOCKS protocols. They can be switched on and off very quickly. They are simple and fast and work with most popular internet-connected applications (web browsers, torrent downloaders, chat applications like Skype, etc). Each application must be configured to use the proxy server separately from every other application. End-to-end encryption is guaranteed if you setup your applications to use your SSL proxy server, or if you use HTTPS-only websites. VPN servers are more complex than proxy servers. VPNs hide your real location and real IP address, and they also encrypt all the traffic from your computer to the desired destination. The encryption slows down your internet connection a little bit when compared to proxy servers, but has some benefits. When you connect to the VPN server, a “tunnel” is created between your computer and the VPN server. All traffic going into and out of your computer is encrypted. Unlike proxy servers, you can’t select which applications use the connection and which don’t. Also, switching VPN on/off can take a little longer than switching off access to a proxy server. VPNs secure your data when using public WiFi networks which have become hotspots for hackers and cyber criminals to steal your data. Proxy servers can do the same, but you must ensure your applications are using the SSL proxy server connection, or you use HTTPS-only websites. This is a little more difficult to get right than VPN. Encryption all data is encrypted end-to-end Tap or hover for details. Flexibility You can not select which applications go through the VPN. All data sent/received by your device passes through the VPN. You can decide which applications go through the proxy server and which applications use your direct internet connection. Compatibility VPN is invisible to software like Flash, WebRTC, Skype, so you don’t need to configure each individually. Each application must be configured individually for HTTP(S) or SOCKS proxy. HTTP(S) doesn’t work with all software so SOCKS is sometimes necessary. Application Support OS/X, iPhone, Windows, Android, any other devices like the AppleTV, Chromecast, Roku, XBox, PlayStation, SmartTVs, and even many network routers. While all web browsers work and many torrent apps (uTorrent, Deluge, Transmission) work with HTTP and SOCKS proxy servers, other applications on your computer might not work with them. Very few applications work with SSL proxy servers (see Encryption section above).